This 1890’s terraced property was purchased for a whole house renovation project. The previous owners had lived there for over 40 years and although the house had been well looked after there was little change in terms of updates to the property. 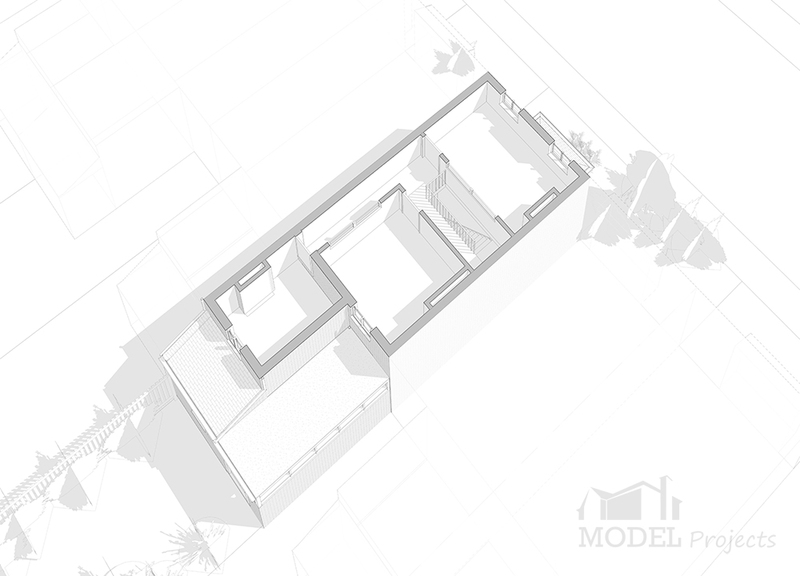 The Model Projects’ design involved renovating the house by adding a single storey extension, loft conversion and whole house refurbishment. This included new decoration and flooring throughout. The extension added space to the side and rear of the property; this allowed for a large open plan kitchen, dining and living area. The extension was designed with a pitched roof, including a number of glazed roof panels to allow natural light to flood into the area below. 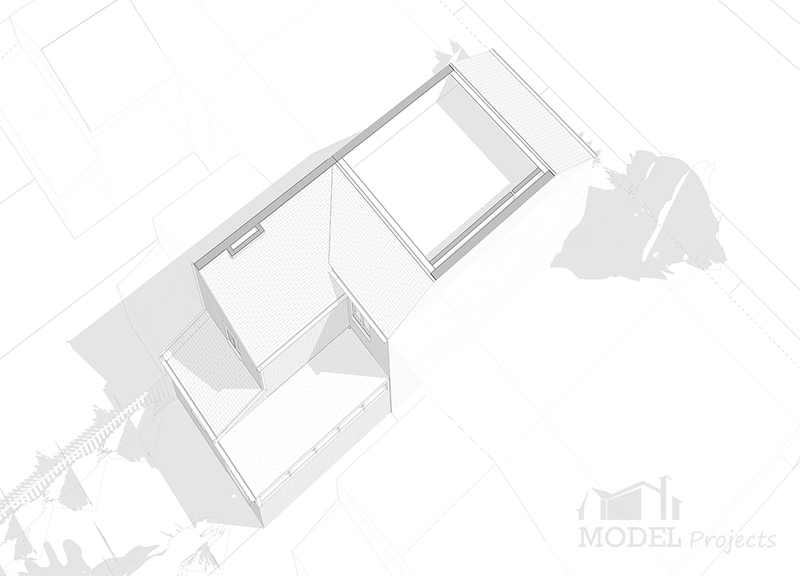 Model Projects designed a new L-shaped loft conversion over the main rear slope and annex roof. This allows space for a walk-in wardrobe with access to the bathroom and a large double bedroom. These rooms add a modern, clean and fresh approach to the traditional elements of the property. 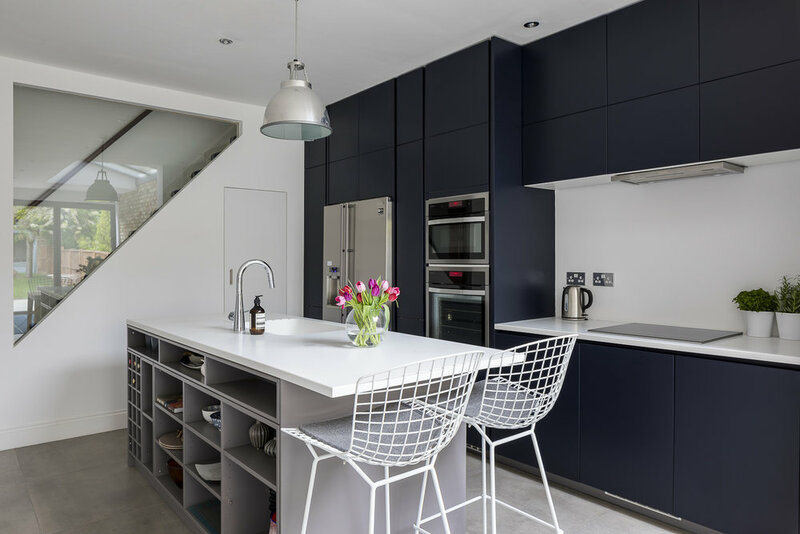 One of the main design aspects was to create an open-plan kitchen. 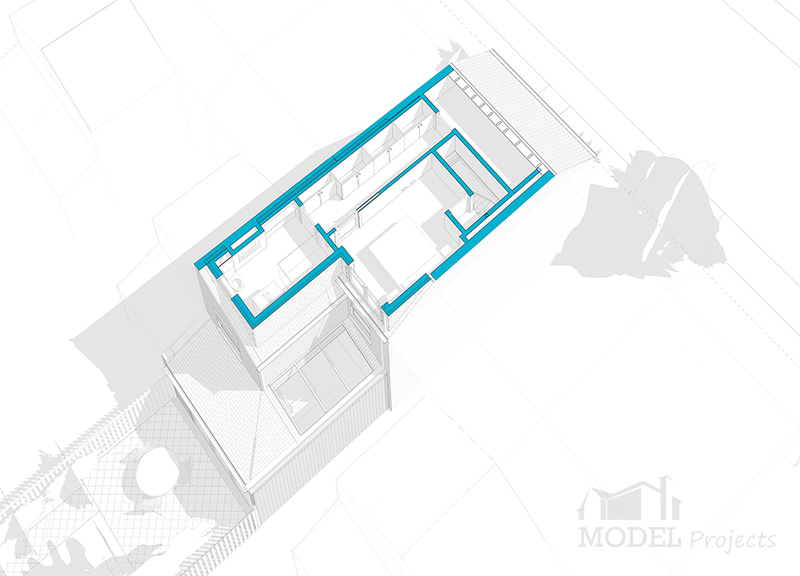 It incorporated a modern island, with useful storage that also formed a separation from the living space. The rear of the house has been fitted with a set of large, three panel bi-folding doors, with views to the garden. The frames of the rooflight and doors are of dark anthracite grey. A feature wall of London stock brick runs the length of the rooflight above. This creates a clear division between the working kitchen area and the dining/living spaces. A triangular shaped panel of fire rated glass, forms a wall between the staircase and kitchen. The glass increases the natural daylight and produces a sense of openness. The doors to the understairs storage space were repositioned to maximise access. A new staircase into the loft follows the return over the existing staircase to the first floor. The large family bathroom has been updated to include a large glass panelled corner shower unit and beautiful feature wall. The property was increased in size by 39m2, with the original property being 90m2 and increased to 129m2, with a volume increase from 242m3 to 312m3.